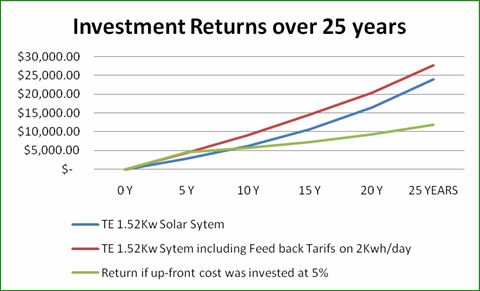 TRIONE ENERGY High-efficiency Solar Systems can also provide outstanding financial returns up to and above $28000 over the life of your system! An impressive result compared to the $11800 return that would made if the up-front cost was instead invested with a 5% annual return. So you can be sure that this is no exaggeration! By simply transferring your REC’s, including the solar credits to us when you purchase your new TRIONE ENERGY Grid Connect PV Solar System you will drastically reduce the upfront costs on our already fantastically low prices! The average discount depending on the size of your system and where you live is a whopping $4500-$7500. Get started on your TRIONE ENERGY PV Solar System! Contact our team of friendly experts for free, no-obligation advice today.